Eleanor Whitmore and Chris Masterson are rather busy musicians, seemingly always moving around, touring their new record and playing in Steve Earle’s band The Dukes. It was Earle who, a long time ago, started featuring them during his shows and who came up with their band name. 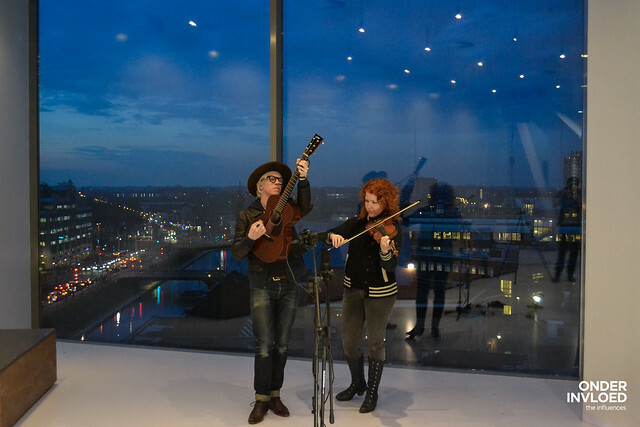 This week, The Mastersons went on the road with The Wood Brothers – who just released a new record. For me, that afternoon of filming once again confirmed why I started this website in the first place, almost ten years ago. You’ve probably seen the videos with Anthony D’Amato appear online some months ago. Recording him and The Mastersons back to back, I was overwhelmed by their talent. Extra lucky: they teamed up on the Bob Dylan classic You Ain’t Going Nowhere, from Dylan and The Band’s The Basement Tapes. All of this, with a view over Utrecht at sunset, what more could one wish for? Audio recorded by Matthijs van der Ven. Audio mixed by Anthony D’Amato & Matthijs van der Ven.